IKEA is a swedish multi-national company that stands as the world’s largest furniture retailer. the company designs and sells flat-pack, ready-to-assemble furniture that often incorporate eco-friendly elements. 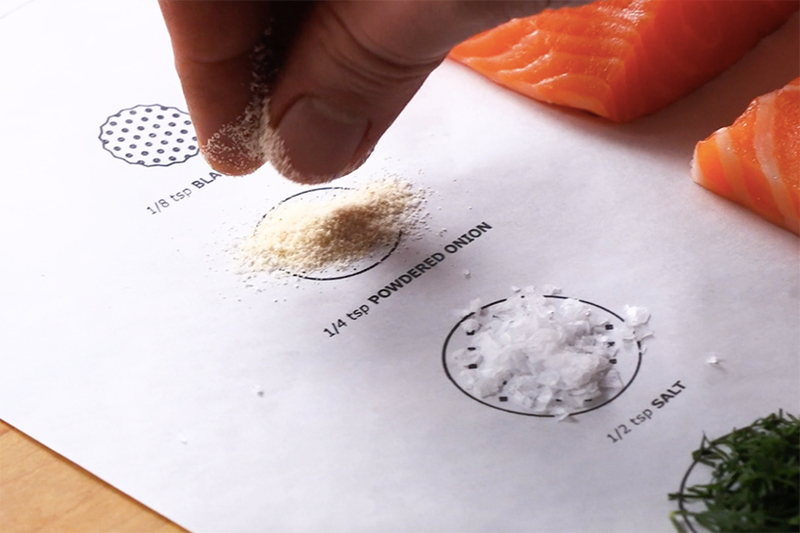 leo burnett conceived a collection of easy-to-make recipes printed on cookable parchment paper. 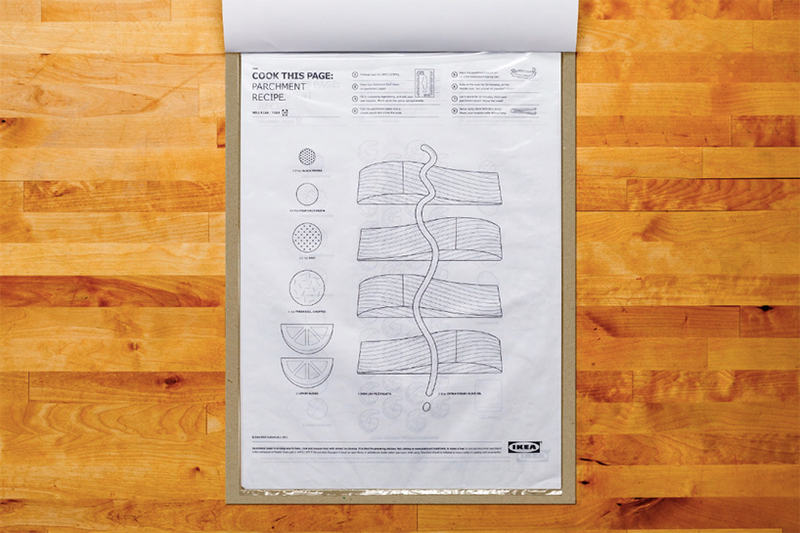 dubbed ‘cook this page’, the sheets include step-by-step instructions and a list of illustrated ingredients marked with food safe-ink, each which match the actual proportions required for the recipe. 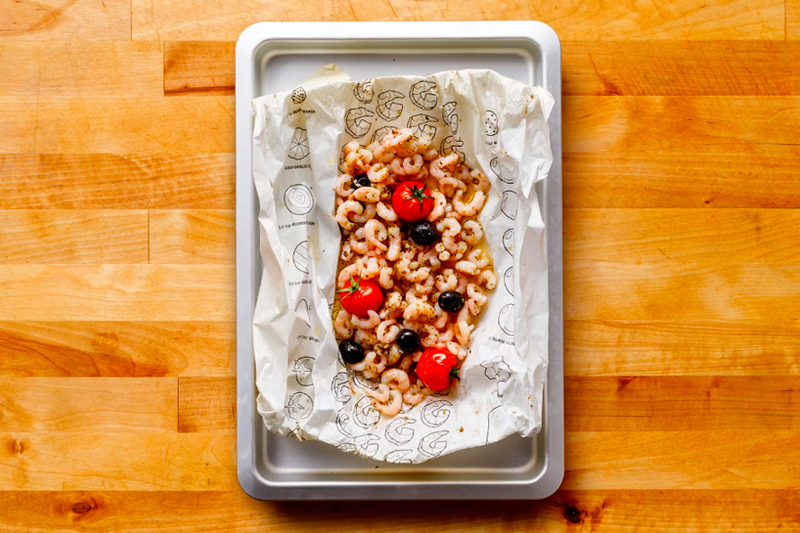 spontaneous chefs and experienced bakers alike merely have to add food, roll it all up and bake it. 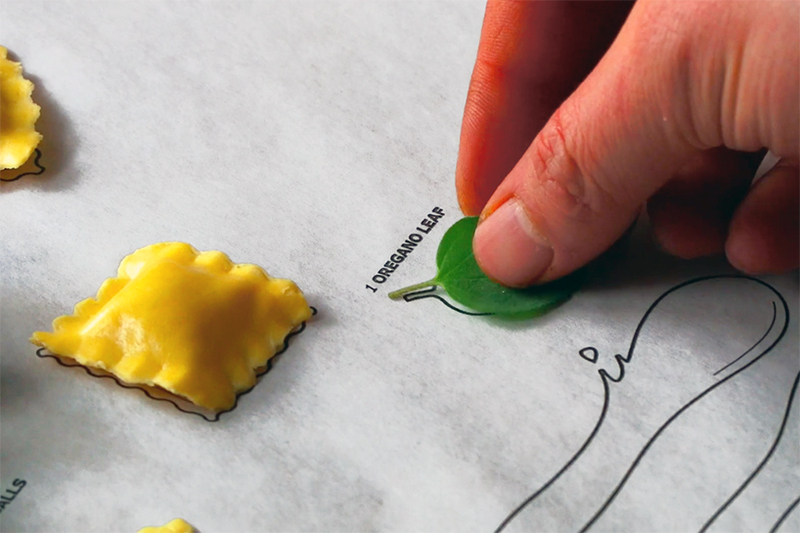 the recipes incorporate IKEA food items and draw attention to the company’s line of household kitchen products. 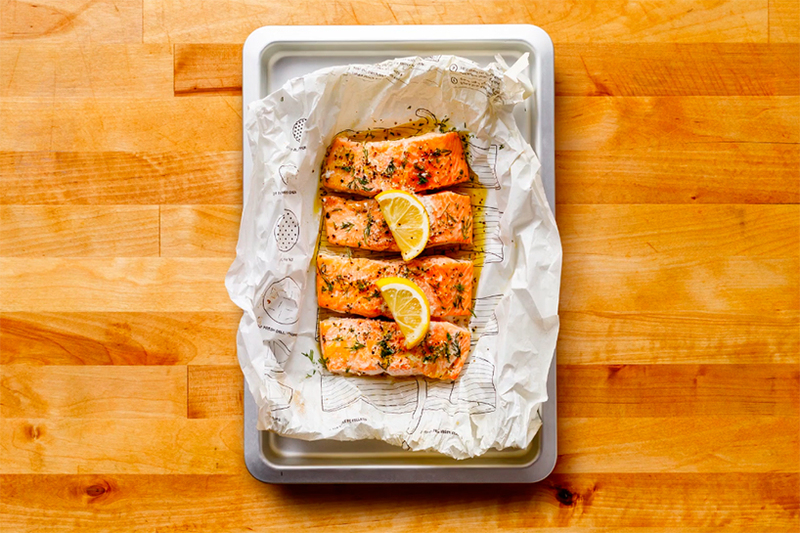 in-store events across canada promoted the campaign, where all 12,500 parchment paper recipes available in 18 locations were snatched up within a few hours. roll, bake and eat — voila!